It is Day #3 of Winnie and Walter’s A Week to Die For. I have used The Party Confetti Cutaway to make a shaker box card. I have die cut The Party Confetti in various bright coloured cardstock. to add inside the shaker box along with some Pretty Pink Posh’s Winnie & Walter mix. The frame of the shaker box is die cut using frames from Essentials: Katherine Cutaway. 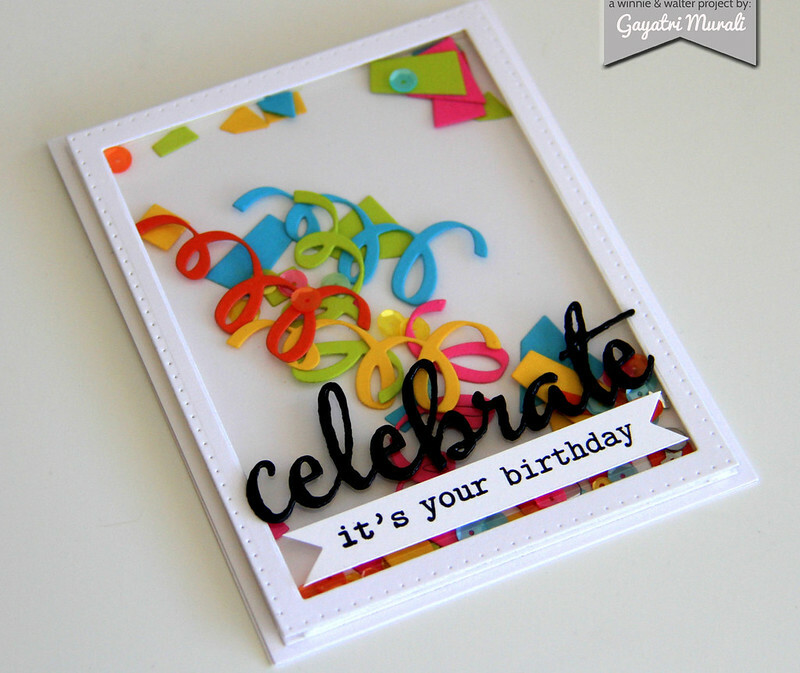 For the sentiment I have used Celebrate from The Big, the Bold and Party Cutaway which I die cut in black a few. Stacked and glued together and brushed with glossy accent. 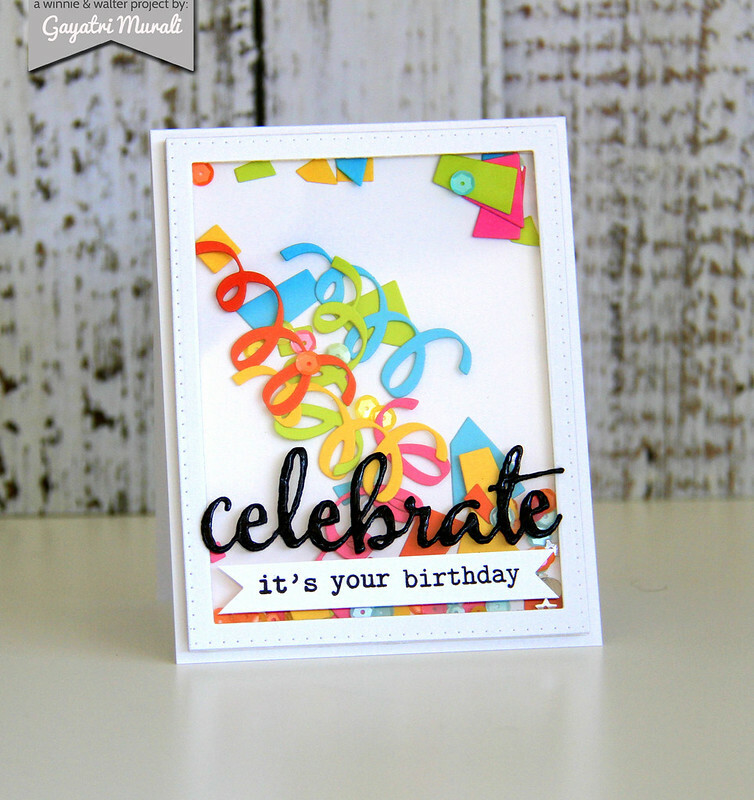 The smaller sentiment is from The Big, the Bold and Party Stamp Set. Here is a close up! Check out Winnie & Walter’s Blog for more inspirations from design teams and guest designers. See you tomorrow for last day of A Week to Die For! Fun card with Happy happy colors ! Brilliant (literally) shaker card. So fun & festive. Ingenious idea, Gayatri! You ROCK!